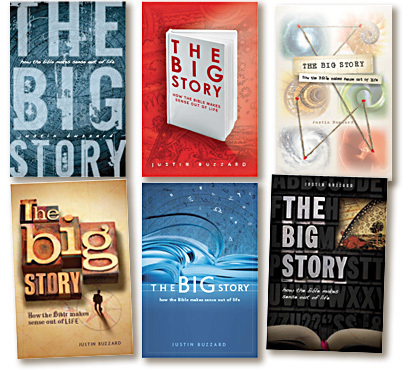 The Big Story, by Moody Publishers, seeks to help readers diagnose how their own worldview may or may not line up with the one God tells us through His story. Aimed at 20-somethings who are young or immature in their faith, it seeks to help these Christians or searching skeptics to better understand the Christian faith and to know how they may articulate it to a world that’s increasingly “story-formed,” that thinks in terms of story. 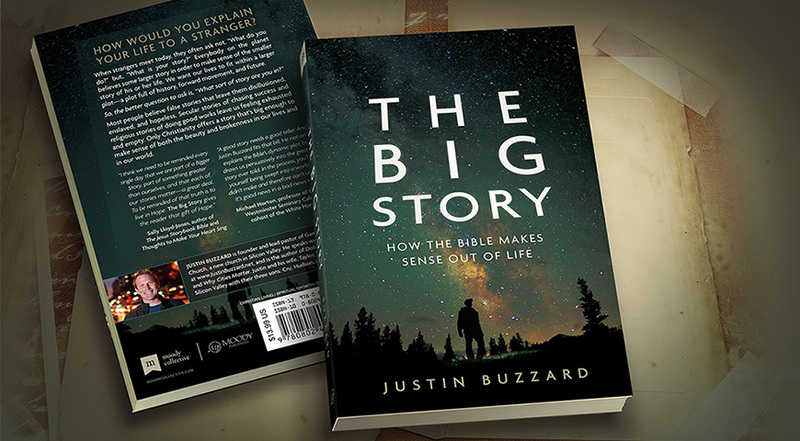 The author, Justin Buzzard, is founder and lead pastor of Garden City Church, a new church in Silicon Valley. He is the author of Date Your Wife and Why Cities Matter. Design Corps was asked by Moody Publishers to design the cover. Moody said they wanted the cover “to reflect the bigness of the story! As well as looking at the author’s other books, we started by researching contemporary book covers popular with the same type of audience, especially books with a post-modern bent. We went on to look into visual representations of: worldview, storytelling, the Bible as a printed book, as well as concepts such as complexity and synchronicity in life. The final selected design merged two photos: one of a man looking up into the sky, and another of the Milky Way as seen from Tuolumne Meadows in Yosemite National Park. Together it conveys both Man’s smallness in the universe, as well as Man’s ability to wonder, question, and seek for answers. The san-serif type is similar enough to the authors other books for continuity yet, shown tipped back in a slight perspective. The back cover repeats the gentle angling of the text.